Visit us twice a year for a dental check up to maintain the health of your teeth. Tooth whitening is one of the most popular cosmetic dental treatments. Correcting and enhancing your smile is the key to your self confidence. An invisible brace system giving patients the smile of their dreams. We pride ourselves on our ability to calm and reassure all our younger patients. Look Better. Feel Better Dentistry. 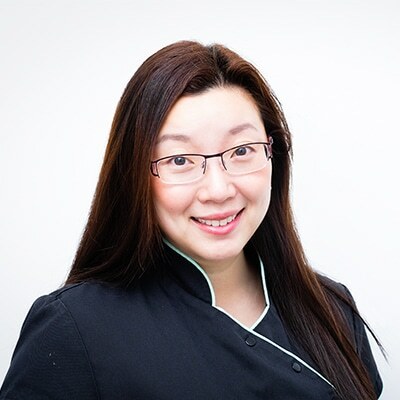 With a gentle, patient-focused approach to dentistry, Dr Anna is active in her constant pursuit of the latest techniques, approaches to care, and the best innovations that help appeal to the most discerning patient. The team at dhealth have a passion for helping people smile with confidence. Each client that steps through the dhealth Dentistry door (which is conveniently located in the centre of Camberwell) is important. All staff also keep current with education and technology, as an obligation to our clients. Since graduating from the University of Melbourne with honours, Dr Anna has worked in both private and public practices in country and metropolitan Victoria for 14 years. She has taught undergraduate students at her alma mater, and volunteered at local kindergartens for over 10 years to help ensure more children develop healthy dental habits as early as possible.